How are Retirement Distributions Taxed? Retirees may have distributions from several kinds of retirement accounts, but these distributions are not all taxed the same at the federal level. The federal tax treatment of retirement distributions depends on the type of retirement account. Today, we’ll compare several types of retirement accounts and the federal tax effect of each. Employer-sponsored accounts like 401(k) plans and SIMPLE IRAs are funded with your pre-tax contributions while you are an employee and sometimes with employer matching contributions. Because you contribute pre-tax funds, the distributions are taxed at ordinary income rates. You decreased your taxable income when you contributed to the 401(k), but the IRS will tax the funds when you take withdrawals. 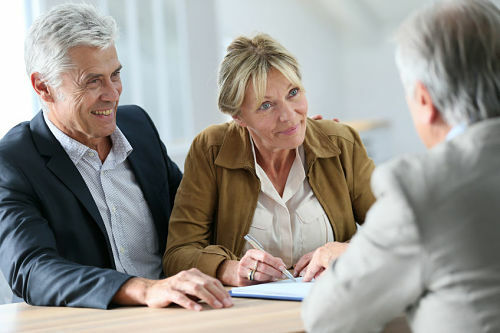 When you contribute to a Traditional IRA account, you may receive an above-the-line tax deduction for the contribution amount, depending on your income level. When you withdraw funds the contributions and earnings are taxed as ordinary income. Again, because you probably benefited from a tax deduction when you contributed to the Traditional IRA, the IRS will tax the withdrawals. We wrote a post about Roth IRAs, so you already know that contributions to Roth IRA accounts receive no tax deduction and are made with post-tax dollars. The benefit to the Roth IRA is that your withdrawals from the account are NOT taxed at the federal level. The contributions and earnings are not taxed upon withdrawal. Since you didn’t receive a tax benefit when you contributed to the account, the IRS gives you a break on the withdrawals. A portion of your pension distribution may be taxed at ordinary income rates. If your pension plan is a non-qualified plan, meaning it doesn’t meet IRS guidelines for favorable tax treatment of contributions and distributions, you won’t be taxed a portion of your withdrawal. This portion, or net cost, is the total of your and your employer’s contributions to the plan. Any earnings in the account will be taxed at ordinary income rates upon withdrawal. If your pension plan is a qualified plan, meaning you are making pre-tax contributions, your entire withdrawal will be taxed at ordinary income rates. Check your pension plan document to see if it is a qualified or non-qualified plan. Similar to the non-qualified pension plans, if you use post-tax dollars to purchase the annuity, a portion of your withdrawals will NOT be taxed. The return of your contribution will not be taxed, but any earnings in the annuity will be taxed at ordinary income rates. Also, if you purchase an annuity with pre-tax dollars, your entire withdrawal will be taxable. We also wrote a post about Social Security benefits, but did you know that a portion of your Social Security benefits could be taxable? If your provisional income (Adjusted Gross Income PLUS tax free interest PLUS 50% of your benefits) falls into thresholds depending on your filing status, up to 85% of your benefits are taxable at the federal level. Please note that this analysis of retirement accounts assumes the withdrawals are not taken before age 59 1/2. 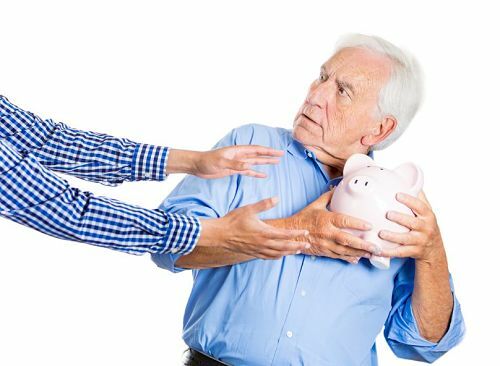 If you take retirement withdrawals before reaching the age of 59 1/2, you will be subject to early withdrawal penalties up to 10% in addition to your regular tax. Even though the pre-tax contribution account withdrawals are taxed at ordinary income rates, the hope is that by the time you are retired, you are in a lower tax bracket. Taxpayers have the option to withhold federal income tax on their retirement withdrawals. As always, each individual tax situation is different. Please don’t hesitate to contact us today with your tax and retirement account questions!